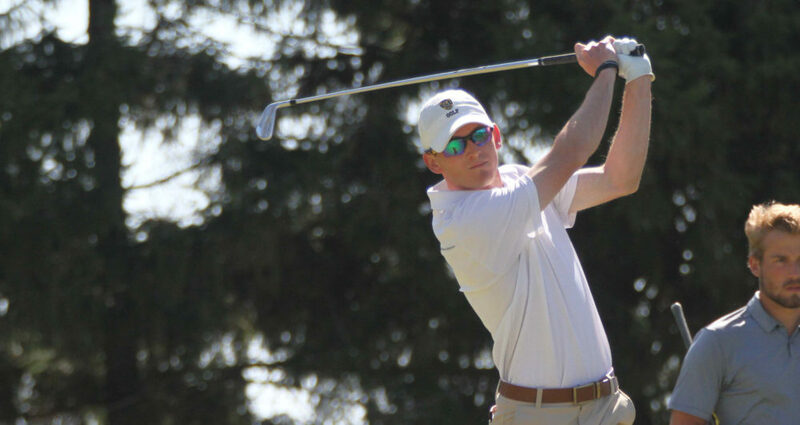 NEW PRAGUE, Minn. – The Gustavus men’s golf team concluded its season Saturday by hosting the Bobby Krig Invitational at the New Prague Golf Course. The Gusties took fifth out of nine teams, posting a 303 (+19). Concordia-Moorhead won the event with a two-under 282. Alec Aunan (Sr., Rock Island, Ill.) and Joe Foley (So., East Gull Lake, Minn.) led the top squad with scores of three-over par 73 to tie for 13th. Chris Captain (Sr., Rochester, Minn.) tied for 19th with a 76, while Max Ullan (Fy., Blaine, Minn.) posted a 79 and Ben Hauge (So., Ramsey, Minn.) tallied an 81. Thomas Carlson (So., Plymouth, Minn.) led the second squad, carding a 72 to tie for seventh place. Congratulations to our graduating Seniors. Chris and Alec have created lots of memories for your old busybody grandparents. We have certainly appreciated the opportunity to watch you and your teammates grow as golfers and young men. We will continue to follow the fortunes of Gustie golf and the careers of all you underclassmen. I know that you will all leave your mark on this program as well. Best of luck as you move forward.